We are launching a FREE festival for children and their families in and around the Liverpool area. 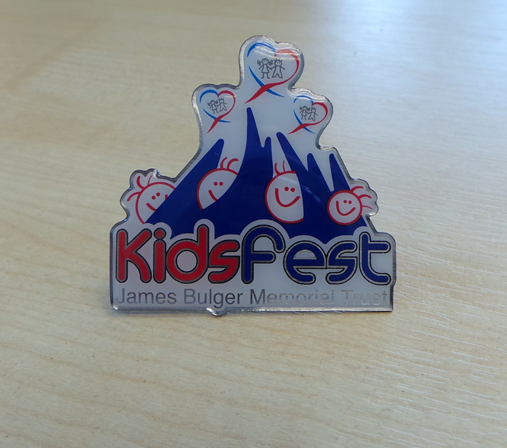 These delightful metal badges/brooch pins, have been made especially for The James Bulger Memorial Trust and are not available anywhere else. 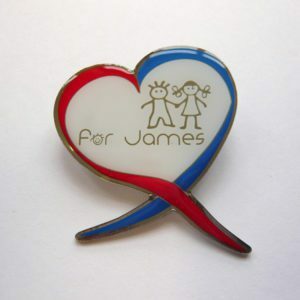 Every single penny of profit, goes to the charity set up in James’ name, and the tribute set in place at James Bulger House.